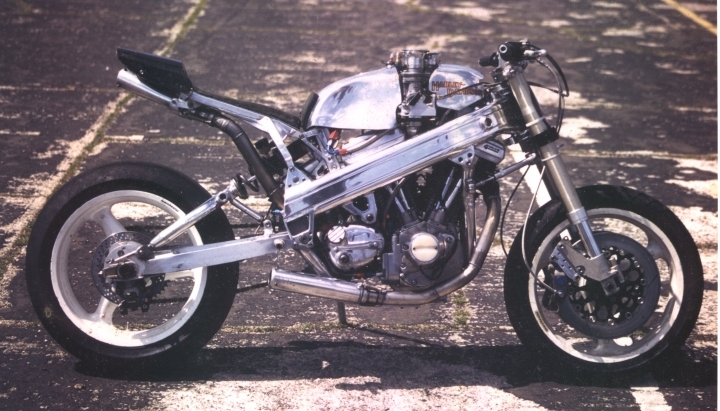 This is my racing motorcycle - it is based around the remains of a Harley-Davidson big twin motor. I designed and built it myself (acknowledgements to Alan Welsh for construction of the fuel tank and various other superb work). So far it has taken me twelve years to build, and has nearly cost me my life in at least one of my many racing accidents! Click here to see a lot more of my Harley! I play the saxophone, although I don't get much time for this at the moment!